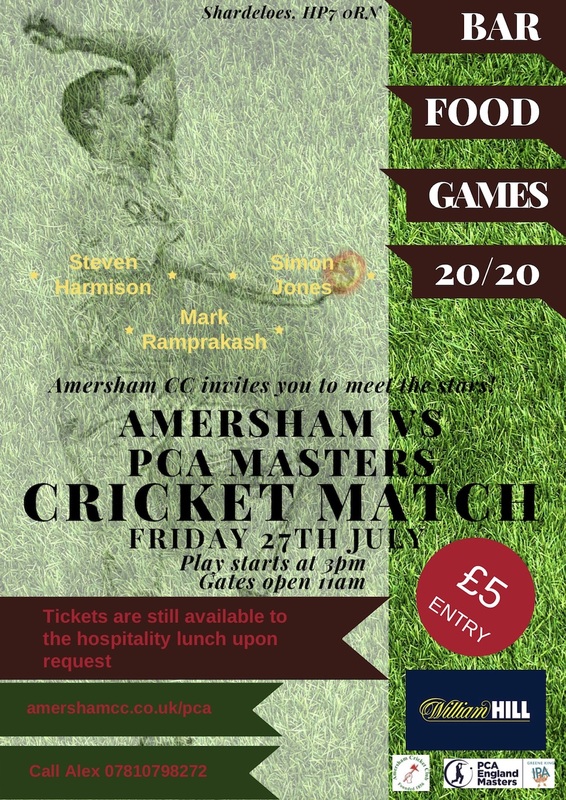 Amersham Cricket Club is hosting an event on Friday 27th July. "Each year we have a cricket week and end it with a celebrity cricket match, provided by PCA England Masters. The day consists of a Marquee Lunch, with the players, followed by a T20 Match between our First XI and the stars, which is open to anyone who might want to come down and watch. Last year we managed to beat them and so expect them to come back with a stronger team." Tickets for the lunch are £65 per person (Tables of 10 - £650) and all proceeds will go to Amersham CC and PCA Benevolent Fund.